The 2015 Aflac WorkForces Report Open Enrollment Survey examines benefits and HR trends affecting businesses and their employees. 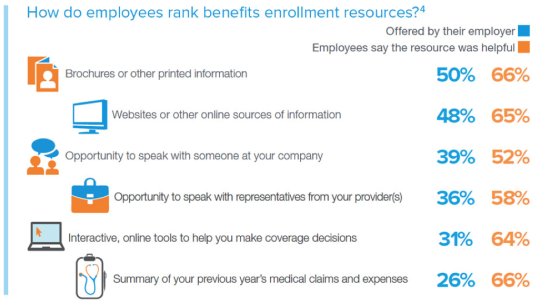 Several years of survey data show employees are increasingly going online to enroll in their benefits, as opposed to selecting their benefits using paper forms or call centers. Additionally, employees say they expect more support and decision-making tools during open enrollment this year because they are more responsible for their health care costs than in years past and, perhaps, because many do not understand the details of their health insurance policies. The studies point to key enrollment resources to help employees better understand their options and make the best decisions for themselves and their families. Sixty-two percent of employees in 2015 say they enrolled in their benefits online, up from 46 percent in 2011. Employees also tend to prefer this method, followed by enrolling by paper and face to face. 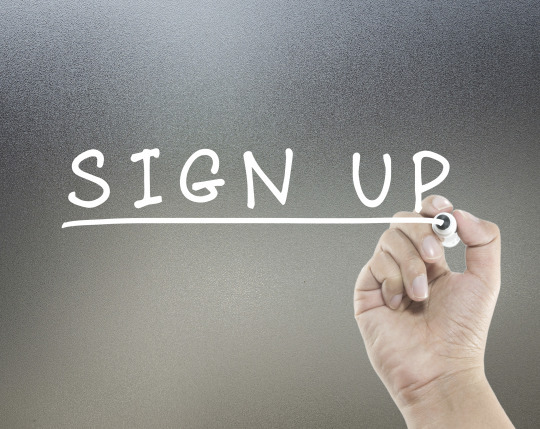 Traditional enrollment methods still have an important place in the benefits decision process. For instance, small businesses with fewer than 100 employees are more likely to say “face to face” enrollment methods are most effective for their employees. And employees from the silent generation (those who are 69 and older) appear to be adapting online enrollment methods, but at a slower rate than younger generations. Their attitudes are shifting toward taking more control of their choices. The complexity of benefits plans, coupled with employees’ lack of preparation, appears to be having a negative effect on how much employees actually know about their policies. 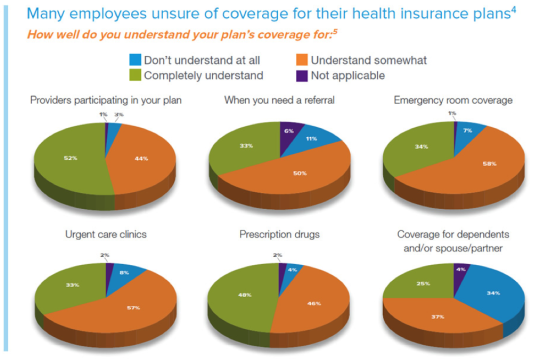 The study found that 44 percent of employees say there are some things they don’t understand about their policies, and 9 percent say there are many things they don’t understand or they don’t understand their policies at all.4 This means many aren’t sure about key details such as when they need a referral or the type of coverage their plan offers for high-dollar expenses like emergency room visits. Employees who understand their policies are also more likely to be confident in the coverage that those policies provide. Employers can help their employees by providing benefits enrollment tools and resources, but it’s important they choose the right resources for their company. The survey found that not all benefits resources are created equal. In fact, many employers aren’t offering the resources and tools that their employees find most valuable, including interactive online tools and a summary of the employee’s previous medical claims and expenses. Employers providing these tools may help alleviate some of the confusion surrounding the benefits enrollment process. 12015 Aflac WorkForces Report, conducted by Research Now between Jan. 23, 2015, and Feb. 11, 2015, among 5,337 adults ages 18 and older who are employed full or part time at a company with three or more employees and not retired. 22015 Aflac WorkForces Report, conducted by Research Now between January 26, 2015, and February 11, 2015, among 1,977 benefits decision-makers at companies with at least three employees. 3Includes somewhat agree, completely agree and strongly agree. 42015 Open Enrollment Survey, conducted by Lightspeed GMI from June 23 – July 2, 2015, among 2,000 adults ages 18 and older who are employed full or part time at a company with three or more employees. 5Among those who do not understand some things in their current policy.